Week 16 camera - Polaroid Super Shooter with Fuji FP-100c pack film. I purchased this camera from Craigslist for $5 with most of the accessories including a case. I checked the battery compartment near the lens in the front of the camera for corrosion and it was clean. After testing the shutter with new batteries I determined that the camera was good to go. 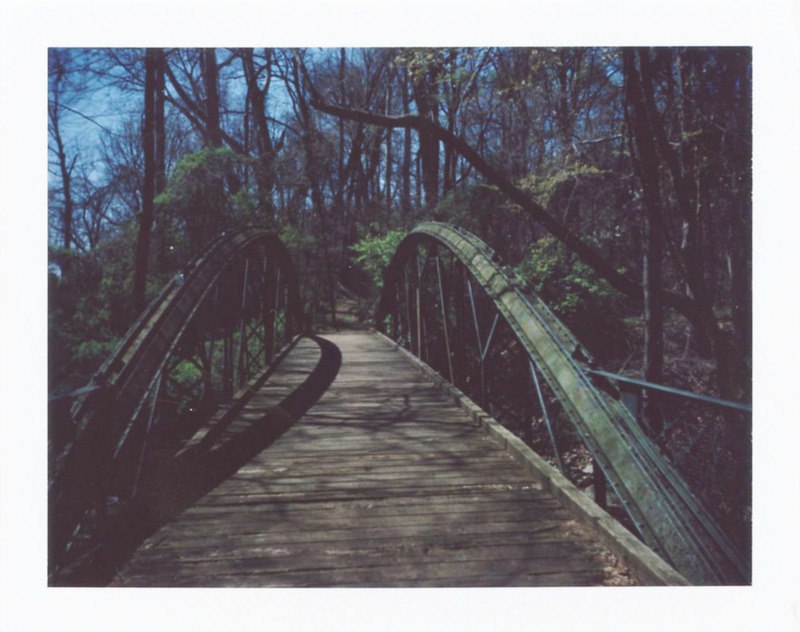 Using one of my last two packs of FP-100c pack film, I loaded the camera for a day trip to Cunningham Falls State Park near Thurmont, MD. 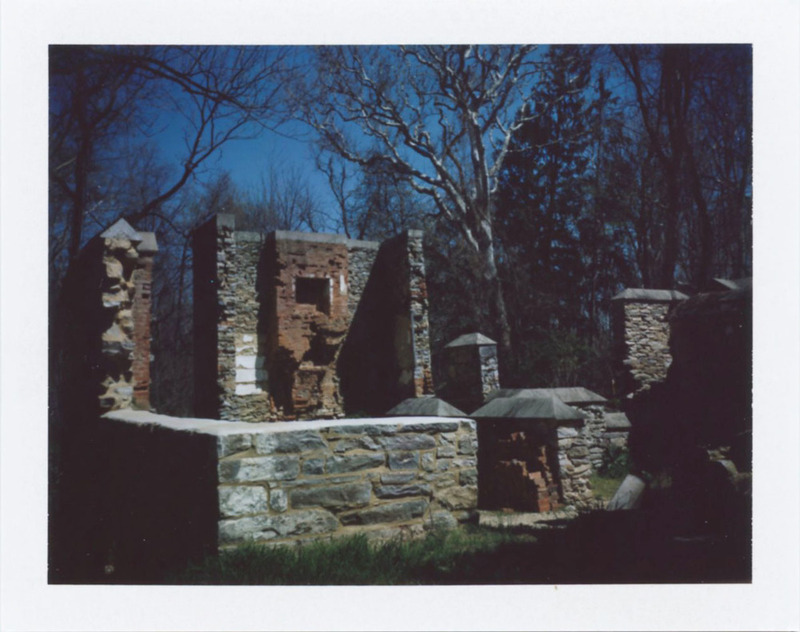 We started out on the short historic Catoctin Furnace trail and the first two shots from the camera turned out a little dark, but the camera seemed to be working well. As we progressed on the trail and I tried to take a photo of the historic arch bridge, the camera failed producing a black photo. I tried again and there was an image this time. But further along where I wanted to photograph a tree with massive roots by the stream, the camera failed twice, so I put the camera away not wanting to waste the remaining shots until determining the problem. So there are only three photos to see this week, but better than no photos. Photos were scanned with Epson V500 Photo.